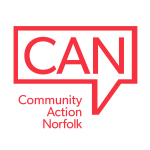 Community Action Norfolk’s ‘ThinkingFUEL’ helps make buying heating oil less stressful and more manageable by offering consistently low prices to individuals and local communities. “Comparing prices for oil is very difficult for the consumer because of fluctuations in price between days, quantities ordered, locations and delivery times. That’s why it pays to be part of a collective buying scheme like ThinkingFUEL. Such schemes are increasingly popular because they offer a fair, flexible and accessible way to buy oil. Everyone in the scheme gets a really low price on their oil because it’s bought in bulk and all our members pay the same price per litre no matter how much they order.” explained Mr Clemo. ThinkingFUEL is already well established with three thousand members across Norfolk. The bulk ordering takes place on two key days each month to maximise savings, which is when members can get the best price, but members can order oil on any working day of the month and still get a competitive price.